On the first day of the CABSAT broadcast trade show in Dubai, RCS – the world’s largest broadcast software company – has announced the appointment of a new Manager and a new office to cover the Middle East, North Africa (MENA) area. 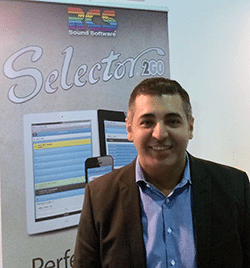 RCS MENA’s new Manager is Baher Al Zaher, who has been one of the key team members helping grow the RCS business in the Middle East over the past few years. The announcement also coincides with the opening of a brand new office at Fortune Executive Tower, part of Jumeirah Lakes Towers in Dubai, United Arab Emirates.